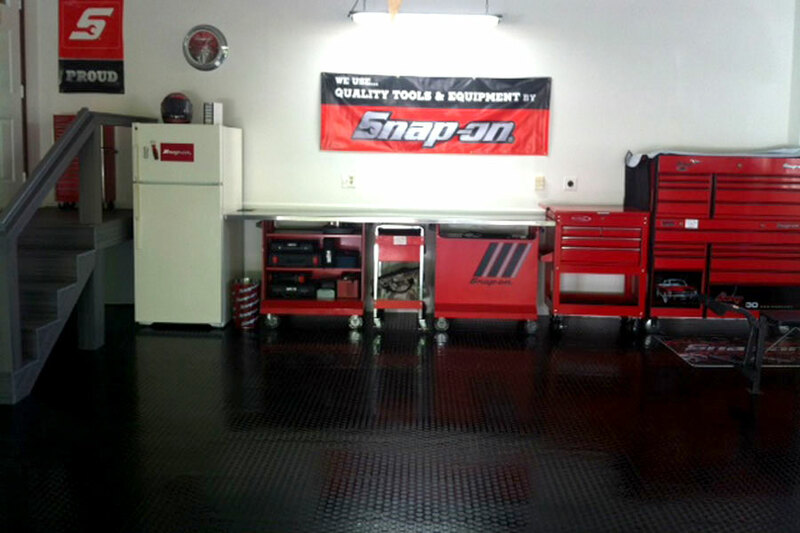 I recently retired from Snap-on Tools after 30 years and the renovated garage was a "to me, from me" gift. 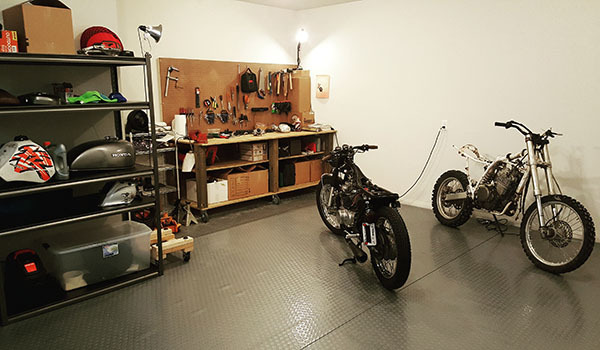 The flooring turned out really great and it is the "wow" factor when I show my garage to my friends. I installed it myself and am very proud of it. Thanks for a great product. We ordered this after seeing a blog about rubber flooring in a bathroom. 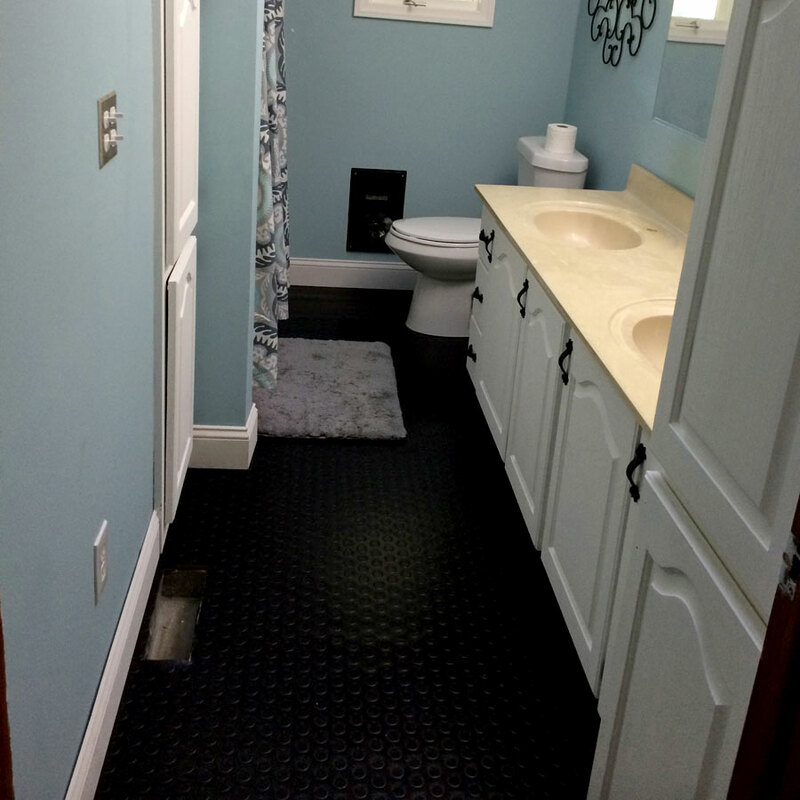 We were looking for something that wouldn't be cold and that wouldn't cost a ton of money to install, and options besides tile were not recommended for a bathroom. After the research I ordered a sample and we loved it. I ordered a roll of the black and we installed it in our main bathroom. It was so easy to cut and place. It is seamless and so easy to keep clean, and we have extra to use! Love Love Love this product! 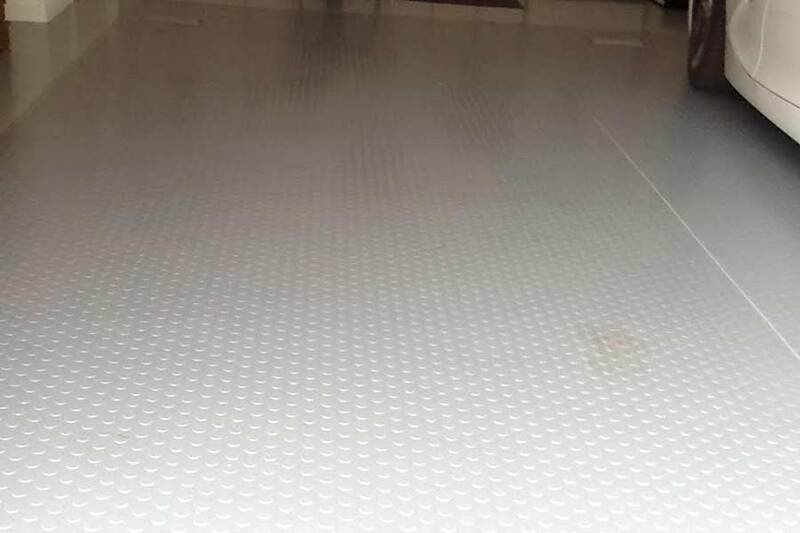 Customer Service is spectacular with RubberFlooringInc.... in regard to the floor I think the product is of decent quality although I purchased them for the anti slip purpose. 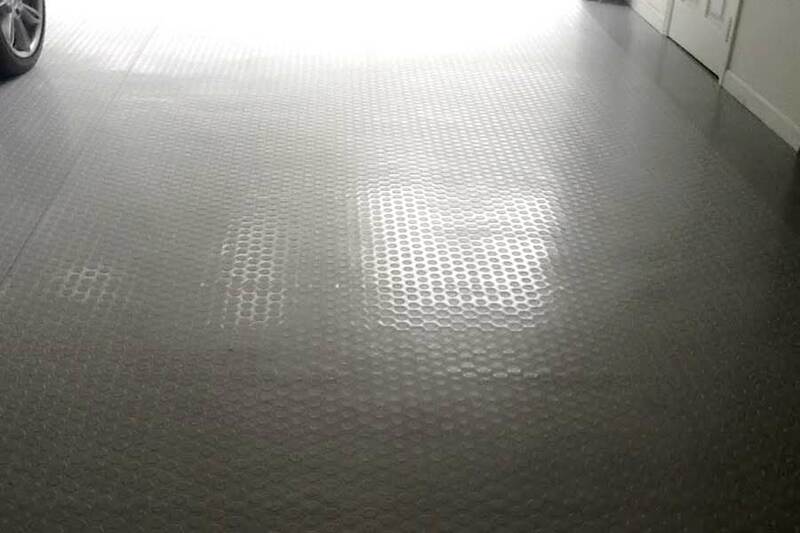 When there is condensation on the ground or it is humid the flooring is extremely slippery! I was told it was anti slip, although I failed to ask if it was anti-slip when humid or wet. I do not recommend this product for anyone that has floors that condensate or if it will be in humidity... you will fall! Other then that during dry weather they are very anti slip.... just don't get them wet! my choice of the coin nitro rolls over epoxy paint was a winner. 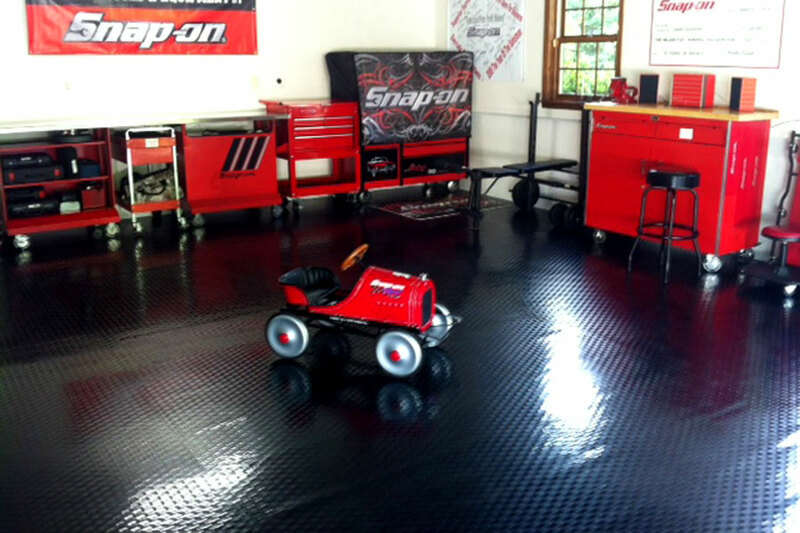 May we tell you how much we are enjoying the coin nitro roll flooring. The floor had been previously painted with little success where the cars are parked. We have had the flooring installed for one month. We installed the rolls ourselves according to your explicit instructions and had absolutely no problems. The adhesive we used took awhile to dry, but it was okay. Thank you for the courteous help with the ordering process and the prompt shipping. We will recommend your product heartily. Hurricane Sandy is what prompted my search for a product that I could replace the ruined carpet and tile on my garage floor. This one fit the bill perfectly. The price was right the delivery quick and it went down easily. I did not want to glue it or tape it down and I am hoping that when the warm weather comes the edges will lay flat. Outstanding Coin Nitro Roll, Shiny ! I was surprised how my basement stairs and hallway came out with this material. It was just enough for my stairs running from the 1st Floor into basement. I love the quality of the material and the thickness is just enough. Also I would like to thank Floor INC for such great product for such a low price; basically you cannot beat it. Thank You ! ! 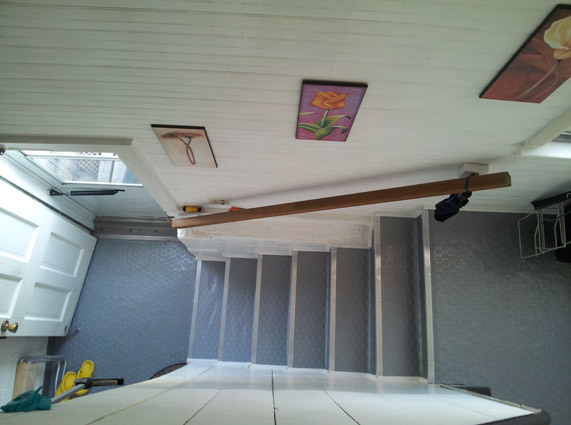 =) The installation was a little hard I got a good heavy duty commercial glue at my hardware floor store locally in Jersey City fewer than 75 Bucks a two gallon drum. The install was a little complicated for my guys installing because of the air bubbles creating and stripping down, cleaning the old clue from tiles but doesn’t look bad looks great and professional. I got this stuff to line the floor of my apartment garage - since I'm renting and I don't want to destroy the fresh concrete. I work with cars/motorcycles and random spills are bound to happen. This product was exactly what I was looking for. I got two 7.5'x25' rolls and rolled them out next to each other with a 6" overlap. Did some light trimming and boom a custom fit. I changed some fork seals yesterday, and happily sprayed fork oil all over the ground just because I could. Wiped it right up no problem. Very happy with the purchase. Very happy with this product. Have had a lot of compliments too? Using on our dock on the floor of our cabana. Wanted something waterproof, slip resistant, but kind to "bare feet". Would like to comment that service was terrific tiki fix an error. Andrea Simmons was excellent. Lined my race trailer floor. Worked great! I used this product on a deck as a barrier to prevent water from dripping off a second story roof onto the deck and then onto the carport beneath. It worked great as the snow began to melt off the roof. I was able to sweep the water off the mat and kept the carport dry. Love this mat. Had it unwrapped and rolled out in place in 30 minutes. 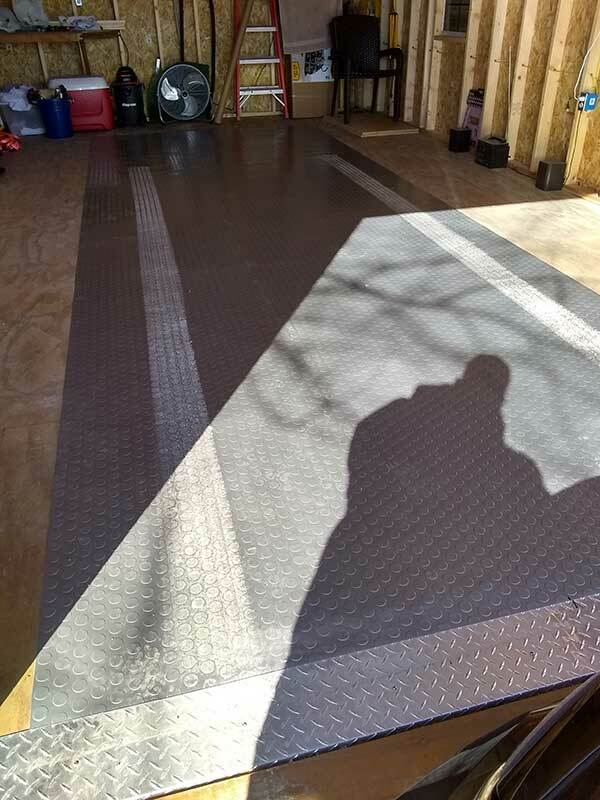 I have a portable garage building with pressure treated plywood flooring and this mat makes it easier to clean up. The water and mud is all contained on the mat. Great product. Better than I expected. Will be ordering more for other projects. I purchased this product 8 years ago. I purchased the coin pattern in black and am very happy. Being black it shows road grime. salt residue etc. However it is easy to clean with a hose and dish soap and a broom. I had epoxy floor products for years and hated them. I also use a liquid floor re fresh product every 2 years or so. I don't see it offered on your site right now but the floor looks brand new every time I use it. My floor "floats" not glued and stays put. My garage is 22x30 and is heavy enough to stay put. I put metal flooring strips on the entrance to the garage to hold the seam down. I recommend this product. Product was delivered free of charge and on time. Within minutes we had in unpacked and rolled out on garage floor. We liked it so much we purchased a second one. So far it is wearing great and looks amazing. The entire garage looks totally different. Fantastic product. Love it! Perfect in my garage ...... Have it under a classic car. I wish I had done my whole garage floor with is. I had a contractor install an epoxy floor for $2,000. This product is easier to clean and more durable than the coating. I installed it where I park my golf cart because the fancy coating was scratching from grit on the golf cart wheels.